We have added some small experimental features and preparations for the next great updates. Added new portion types to existing foods in the database. We've also fixed a huge amount of bugs, again. Please send us your feedback and new ideas. Thank you for choosing our app. 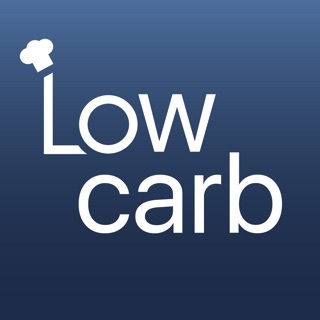 The app was recently updated to calculate sugar alcohol and dietary fiber in order to get a true net carb count. This was the ONLY this that this app needed. I love everything about this app. I can scan a barcode in for nutritional info (if it isn’t in there already). It even has restaurant food (ie Chic fil A sandwich or Panera soup) It breaks your day down by meal or by carb count, calorie count, etc (however you’d like it to break down). You can easily copy from one day to the next if you eat the same thing frequently. If you’re even thinking of eating a food you can see how it will affect your macros for the day and it won’t save it unless you tell it to. So you can change your mind if it’s going to put you over your limits! It’s great. It even keeps track of my water intake (which really makes you conscious of how much you’re drinking). Now I see that I can create a grocery list based off of my favorited foods. I haven’t tried that yet, but I plan on it now that I know it’s there. 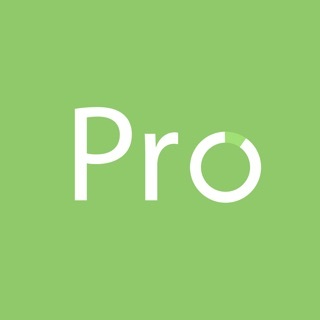 I used the free version for about a month then I upgraded to the PRO. It has way more features. Just spend the $12 or whatever it was. It was very inexpensive for something that I rely on every day to keep me in check. You won’t be disappointed!! I only wish it was compatible with my iPad. I tried to install it today and it said it couldn’t. Hopefully that will come in the near future. 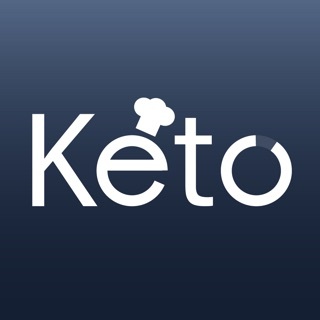 First let me say I’ve tried a few diet apps to track my carb intake, but since going Keto I wanted an app with more specific information - one that closely tracked my food intake AND let me know where I was food-wise (macros) at any given point in the day. This app meets all my criteria and has a lot of other great bonus features. I almost NEVER pay for an app, but I don’t mind paying for this one - IT’S THAT GOOD! And since I started using it 3 weeks ago, I’ve lost 13 lbs. I attribute that in great part to this app. I enter my meals BEFORE I eat and the macro circles show me where I am in consumption as it relates to that particular meal. At that point I can choose to eliminate part or all of a food before I eat it, if desired. It’s very motivating! All said, the only negative is that when you click on any of the individual macros (fat, proteins, carbs), the very, very light and tiny text (yellow, blue, green) below each food item is impossible to read. I need to use a magnifying glass! And if you go over a specific macro, I.e. protein, you want to identify your counts. Note to the developers: why not make the text black for the macro counts and leave the circles at the top in colors? Easy coding fix... Otherwise, I love it and it is definitely worth $1 per month if you are serious about a Keto lifestyle. If you count true net carbs, not your App! This is a great concept and a simple one, easy to use. But if you are trying to lose wait and every carb counts, this App is NOT accurate at all. Alcohol sugars as well as dietary fiber should be subtracted from the total carb count in order to get the true carb amount consumed. This makes a huge difference when you are utilizing some of Atkins bars to keep you going throughout the day. It's also discouraging as it looks like you over consumed your daily allowable card intake. Not good for dieters. I wrote Support and they just said "we're working in it". I purchased a 3 month membership because the trial one is crap. If you are a variety eater it doesn't allow you to add a lot of foods. But even with a membership, the restaurants and food choices are limited. They should have launched this when they were more prepared. I do love the scan option, however. But overall, it's a great way to become hyper aware of what you place in your mouth. I lost 15 pounds putting my food into this App but as it did not reflect acueste carb count, it was too much work to keep a separate journal. What's the point of having the App then, right? Delete. Fixed this. Now the app subtracts sugar alcohols, including Atkins products. Thank you for your review!